If you delete or move web pages that are indexed in search engines you can lose targeted traffic for weeks or months unless you apply a 301 redirect. In this article Bruce Borner, of Computer Projections, explains how to apply a page level 301 redirect on Apache. Jill Whalen posted an article on her blog that points out a real problem for those trying to find search engine optimization services. SEO shops continue to setup overnight. Many of these SEO’s are trying to learn SEO from the free information available much of which is wrong. Companies looking for SEO services should check how long an SEO consultant or agency has been in business and make sure they have a successful track record with satisfied clients to whom you can talk. I’ll be presenting “Search Engine Optimization and Marketing” at the Connecticut Business Expo in Hartford on Thursday June 4th. Many web site owners believe that search engine advertising success (such as Adwords PPC) comes quickly. This is understandable when much of the promotion about search engine advertising talks about how fast you can get a PPC campaign up and running. However it takes time to build an effective search advertising campaign and you may need to improve your web site’s conversion rates before a PPC campaign will produce a positive ROI. This can take many months. 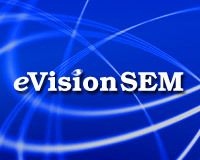 Some useful blogs about social media from the eVision blog (and others) over the past year or so.